From the time your child turns one to her second birthday, her Vocabulary Knowledge will increase enormously from a handful of words to a rich cache of more than 200 words.1 In order to learn new words at this breakneck pace, your 18- to 24-month-old is constantly taking in what she sees and hears and trying to identify what objects are and what they do. Research has shown that children use a combination of previous word and word sound knowledge to quickly categorize new vocabulary,2 which is why repetition is so important at this stage of the game.3,4 A great example of this would be to play the “Hand It to Me” game. 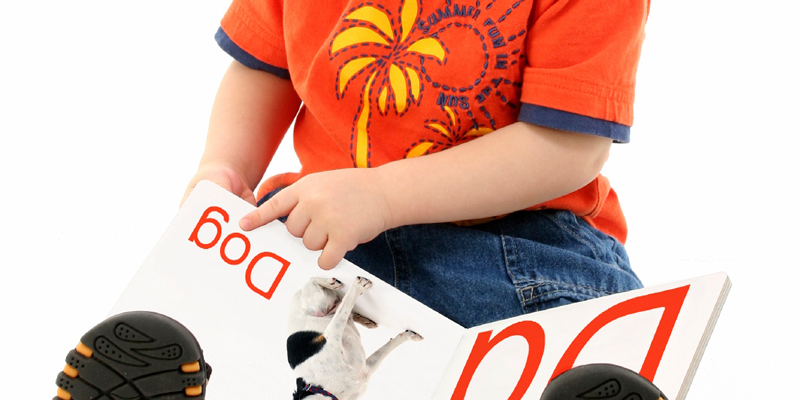 Let’s say your toddler’s favorite book is about a dog. You’ve already read the book to her countless times, saying the word “doggie” and watching her point to the dog over and over. As her understanding of what a dog is grows, you will notice her pointing to real dogs, such as in the park, letting you know that the word “doggie” has been firmly planted in her permanent language library. Now, in order to play the “Hand It to Me” game, place a stuffed dog toy and a stuffed platypus toy in front of your child. Because she already knows what a dog is, she will most likely figure out which toy to give you when you say, “Please hand me the platypus.” The combination of her prior knowledge of the word “doggie” paired with the new word “platypus” allows her to understand what you were asking for. To help her permanently add the word to her vocabulary, repeat the word “platypus” several times as you talk about the stuffed toy, look at pictures of platypuses, and read books about platypuses. You may notice at this stage that your toddler is beginning to ask simple questions, like “Go?” if she wants to go somewhere or “Ball?” when she is looking for her ball. You will recognize these words as questions by her tone of voice and should reply using full sentences, like “I see you are looking for your ball; let’s check the toy box.” By setting an example of using complete sentences as well as polite words, you are helping her acquire proper speech skills over time. Do you want to know how you can support your child’s development of these Vocabulary Knowledge skills at this age? It’s easy! Read on for some simple tips to incorporate into your daily play time together. Celebrate your child’s speech. All children speak at different rates and abilities. Unless she shows patterns of delayed speech, try not to compare her current abilities with another child’s. If you are concerned about your child’s ability to talk, consult her care provider. Play “Name that Object or Action”or “Hand it to Me” games. Ask your child to describe what she sees. Help her with the answer if she can’t provide it. Name an object and ask her to repeat the word after you say it. Praise her efforts and let her know when she uses appropriate language. Encourage the use of polite words. At every opportunity, be sure to use positive social words, such as “thank you,” “please,” and “excuse me.” Keep the language simple, but repetitive. Has your baby achieved the following Vocabulary Knowledge developmental milestones yet? If yes, check off all the skill(s) she has already mastered to date using Playful Bee’s developmental milestones tracker. It’s absolutely FREE and easy to use, just click HERE! Identifies and names of objects without being asked (e.g. when reading or in a room). Identifies and points to objects when asked or in books. 1Public Broadcasting Service. Child Development Tracker: Language. PBS Parents. Retrieved December 16, 2013, from http://www.pbs.org/parents/childdevelopmenttracker/one/language.html. 2Swingley, Daniel (2008). The Roots of the Early Vocabulary in Infants’ Learning from Speech. Association for Psychological Science, 17 (5), 308-312. Retrieved August 17, 2015, from http://www.psych.upenn.edu/~swingley/papers/swingley_currDir08.pdf. 3Horst, Jessica S., Parsons, Kelly L., and Bryan, Natasha M. (2011). Get the Story Straight: Contextual Repetition Promotes Word Learning from Storybooks. Frontiers in Psychology, 2 (17). Retrieved December 22, 2013, from http://www.ncbi.nlm.nih.gov/pmc/articles/PMC3111254/. 4Brotherson, Sean (2005). 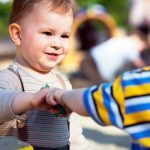 Bright Beginnings #5: Keys to Enhancing Brain Development in Young Children. North Dakota State University Agriculture and University Extension. Retrieved December 22, 2013, from http://www.ag.ndsu.edu/publications/kids-family/child-development-well-being?b_start:int=20. 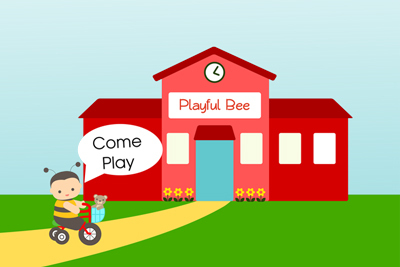 Playful Bee is an e-Preschool that delivers inquiry-based preschool learning from the classroom to your home. Our preschool curriculum was created by our talented team of rock star teachers. With years of hands-on preschool and Kindergarten teaching experience, they've developed a high-quality preschool experience that is convenient-to-use and easy-to-teach by you, grandparents, or your nanny at home. Want the latest news and research on developmental learning and brain stimulating activities to do at home with your child? 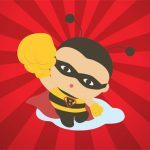 Join Playful Bee here or subscribe to our blog! Help Your Child Get Ahead. Enroll Now. 80% of your child's brain is developed by age 3. Capture every learning opportunity with Playful Bee's early learning program. Be a Hero. Help Spread Playful Bee. 53% of our children in America do not attend preschool and arrive to Kindergarten 12-14 months behind their peers. With your help, Playful Bee can gift a child in need an early education she deserves. Your Baby's First Words: How To Help Her Say "Mama" and "Dada"